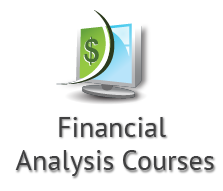 The Financial Analysis Courses (FAC) are broken down into easy-to-complete modules that cover the curriculum Level I CFA® candidates are required to know while preparing to write the CFA® examinations. The CFA® Candidate Body of Knowledge (CBOK) is comprehensive, robust and requires 250 to 300 study hours if completed as a self-study program. The FAC completely integrates the requirements of the CBOK, which can help CFA® Level I candidates or any investment professional learn the material set forth by one of the standard-bearers of the investment industry. As with the curriculum a CFA® Level I candidate is expected to learn, the FAC focuses on tools and concepts that apply to investment valuation and portfolio management. The FAC also includes an overview of the processes of asset valuation and portfolio management. The curriculum found in the FAC is constantly monitored and updated to reflect market changes and learning objective statement changes issued by the CFA® Institute. Core lecture material is developed while respecting the CFA® Program’s CBOK which emphasizes ethical and professional standards throughout the curriculum. All course materials and assessments are online. Each course is available 24 hours a day, seven days a week. Courses (and the modules that make up the courses) can be accessed from anywhere around the world with an internet connection, and without requiring any software to download onto your computer. Courses can be accessed for a duration of three months, giving you plenty of time to review, study and not only test your knowledge but improve your grades. Course materials are offered in audio and print format and can be reviewed in any order enabling you to have complete control of your learning process. How can these courses help me prepare to pass the CFA® examinations? Through these courses, you will learn the Candidate Body of Knowledge of the Chartered Financial Analysts’ Institute (CFA®) for CFA® Level I candidates as it is taught by university professors. This adds a critical component to your study plan because instructors teach you to learn and understand the concepts, not just to pass an exam. In addition, learning in a virtual environment on your own time, at your chosen location and at your own pace allows you to review the material as many times as you need until you master each topic. To learn more about the CFA Charter review this brochure. How are these courses different from others? Unlike other providers, the Financial Analysis Certificate (FAC) is a program that teaches you the Candidate Body of Knowledge of the Chartered Financial Analysts’ Institute (CFA®). You are not getting prepared to write an examination or receiving summary notes to pass a test; you are being taught to excel as an investment professional, which is the primary goal of the CFA® Institute. The FAC offers you a virtual classroom that you can use on your own schedule and from any location in the world. Moreover, whether or not you pass the CFA®examinations, what you learn in these courses will have an impact on your professional development, given that these courses are accredited and recognized in Québec. How is the CFA® involved? KnowledgeOne acknowledges the premier status of the CFA® Institute and its commitment to maintaining a rigorous focus on globally relevant investment knowledge. The CFA® Program is the most widely known and respected investment credential in the world. While some candidates approach the CFA® Program by studying the curriculum readings and mastering the Learning Outcome Statements (LOS) by themselves, some candidates can benefit from a structured, virtual classroom-type course to supplement their own study time. The CFA®Institute has established voluntary programs as a means for independent third parties such as KnowledgeOne to improve its training process. CFA® Program candidates and all such initiatives were diligently considered when developing the Financial Analysis Certificate. The content developed by KnowledgeOne for courses leading to the Financial Analysis Certificate are developed to complement the CFA® Program and to facilitate the learning process. They are not to be used as a substitute for studying the prescribed curriculum for CFA® candidates. In general, each level of the CFA® Program requires a minimum of 250 hours of preparation, although time will vary based on familiarity with the material. Learning outcome statements are meant only as a guide to the most important knowledge, skills and abilities to be gained in the readings. While there are no requirements in order to register for any course offered as part of the Financial Analysis Certificate, the lessons are designed to address the needs of investment professionals seeking to fulfill continuing education requirements or to pursue advancement in their industry, as well as finance students wanting a robust review of investment/portfolio theory and CFA® Level I candidates. How can these courses help me advance in my career? If you are an individual seeking to improve your knowledge and understanding of financial analysis, the investment industry and investing, this is the perfect program for you. As a graduate student, this program will prepare you to enter the global investment industry with the appropriate education and values to serve the sector in an open, ethical and professional manner. As an investment professional, this certificate may be used as an accredited degree, and therefore could count towards certification in your field, or simply in your own training and development. Our program is inspired by the Candidate Body of Knowledge of the Chartered Financial Analysts’ Institute (CFA®), an institution widely recognized around the world for its commitment to maintaining a rigorous focus on globally relevant investment knowledge. To earn the CFA® charter, students must successfully complete the CFA® Program, a graduate-level self-study program that combines a broad curriculum with professional conduct requirements, culminating in three sequential exams. The primary goal of the CFA® Program is to enable students to become effective investment professionals by teaching the basic concepts and principles in 10 major topic areas. Is the FAC an accredited program? Yes. KnowledgeOne is an institutional member of La société de formation et l’éducation continue (SOFEDUC), an association specializing in the evaluation of training and continuing education programs in the province of Québec, Canada. A continuing education unit (UEC) represents 10 hours of participation in a structured training activity, organized and led by an accredited organization, run by competent trainers and sanctioned through an evaluation. The quality criteria for the granting of UECs are determined by SOFEDUC, and are both administrative and pedagogical. KnowledgeOne is currently working toward adding national and international accreditation to these courses. If you are a member of a professional association which has mandatory continuing education requirements for its members, these courses could serve as valid substitutes for in-class training sessions. To verify, copy the learning objectives found in the course description (See Our Courses section) and send them to your head of membership training for their assessment. Feel free to contact us if you require more information. Can I ask my employer or manager to cover the cost of these courses? Yes. These courses and certificate are accredited by SOFEDUC and can leverage your skills in the investment and finance fields. To verify, copy the learning objectives found in the course description (see Our Courses section) and send them to your employer’s head of membership training for their assessment. Feel free to us if you require more information. In addition, in Québec, employers have the obligation to allocate the equivalent of 1% of the company’s total salary payroll towards training spending (also known as the 1% Law). The Financial Analysis Certificate courses have been certified by the commission des partenaires du marché du travail of Québec to count towards this training law for companies. Check with your employer or manager if this is an option in your organization. How can these courses be used for workplace training? The courses that comprise the Financial Analysis Certificate (FAC) provide you with a flexible and convenient opportunity to fulfill workplace training. Students can register for one or more courses, or they can register for specific modules in a course depending on their particular need and interest. Course content has been organized so students are able to review the materials in the order of their preference, and assessments are designed so students have unlimited times to test their knowledge and improve their grades. This flexibility offers total control of the learning process to maximize a student’s potential while studying in a comfortable virtual environment. The FAC is also a convenient choice because it is completely online, and study materials and assessments are available 24/7. Courses can be followed by a number of employees at the same time, from any location and at the most convenient time during working hours or from home. Are these courses eligible for the 1% Law (Bill 90 for Québec)? Yes. The individual courses have been certified by the commission des partenaires du marché du travail of Québec to count towards the training law for companies (1% Law). How are these courses beneficial to employees? Investment professionals seeking continuing education credits to satisfy professional orders, licensing requirements or professional development can certainly benefit from the Financial Analysis Certificate (FAC) courses. Our program is inspired by the Candidate Body of Knowledge of the Chartered Financial Analysts’ Institute (CFA®), an institution widely recognized around the world for its commitment to maintaining a rigorous focus on globally relevant investment knowledge. To earn the CFA® charter, students must successfully complete the CFA® Program, a graduate-level self-study program that combines a broad curriculum with professional conduct requirements, culminating in three sequential exams. The primary goal of the CFA® Program is to enable students to become an effective investment professional by teaching the basic concepts and principles in 10 major topic areas. The FAC courses cover these same 10 topics and are accredited to count towards professional advancement. Upon the successful completion of a course, students receive a certificate of completion signed and authenticated by the course developer, a qualified professional with university teaching experience, and KnowledgeOne. KnowledgeOne is an institutional member of La société de formation et l’éducation continue (SOFEDUC), an association specializing in the evaluation of training and continuing education programs in the province of Québec, Canada. The credit hours listed on each course description page (included in the Our Courses section) serve as an approximation of the total learning time required to complete a module or a course. This includes watching the video lectures, completing the readings and exercises, and going through other assigned course materials. However, it is understood that this value is an approximation since it will vary for each individual learner. Once registration is complete, the access given to a module or a course is three months, which gives plenty of time to continue reviewing the study materials or to improve grades.